Winner of the RACV Victorian Tourism Awards for Best Winery, Fowles Wine crafts some of Australia's finest cool climate wines, winning many of Australia's most prestigious wine medals and trophies. The Fowles Wine Cellar Door Cafe is located at the foothills of the stunning Strathbogie Ranges just 20 minutes south of Euroa. The unique and relatively unknown region of the Strathbogie Ranges is perfect for those wanting to flee the big smoke and discover award winning wines among misty mornings, shady gum trees and picture-perfect sunsets in historic Ned Kelly country! At the Fowles Wine Cellar Door Cafe expect to be welcomed by a knowledgeable team and a delicious menu of home grown or locally sourced produce with matched wine. A shaded courtyard and children's play ground make the Cellar Door Cafe a perfect place for the whole family to enjoy lazy afternoons. The cafe offers brilliant views of the dramatic Mt Bernard and is the perfect place for a range of family or group events. Fowles Wine can also help plan and deliver a range of function options that suit individual needs - we look forward to seeing you soon. 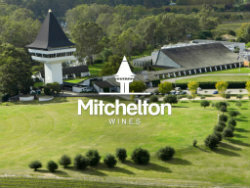 Situated at the gateway to the Goulburn Valley, approximately 90 minutes from Melbourne CBD, Mitchelton Wines is quickly becoming one of regional Victoria’s premier food and wine destinations. From the elegant range of Estate grown wines, to the tranquil rolling greens, and sweeping bends of the mighty Goulburn River, Mitchelton Winery has something for everyone. Take in new heights and admire the beauty of our region, from the Ashton Tower, standing an impressive 55 metres tall, you will be presented with stunning panoramic views of the region’s river and ranges. The newly renovated Cellar Door will be sure to impress, with not only Mitchelton’s finest wines on tasting, but a wonderful array of specialty products to delight the gourmet traveller. The restaurant boasts an exciting a la carte seasonal menu, sourced from the finest regional produce. Mitchelton cater for Weddings, Functions and all Corporate Events. 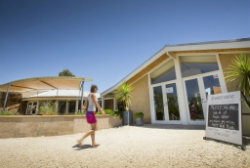 Mitchelton Winery, Cellar Door is open from 10.00 am – 5.00 pm, 7 days a week. Mitchelton Restaurant is open for lunch 7 days a week, limited hours through the winter months.